Overview: Personal Development & Consciousness Training. We live in a time of profound radical, whole system change and our understanding of the world is being transformed at an unprecedented evolutionary pace. There is a growing consensus among spiritual scholars, scientists, health-care practitioners, and visionaries that we find ourselves on the cusp of a quantum leap into a new cycle of evolutionary consciousness. We are being called to weave together a new orientation in academic studies that integrate personal development and spiritual growth. It is no coincidence that you have been guided here today, it is time, and you know it! It is time for you to fearlessly move beyond your comfort zone and be courageous enough to walk your truth, own your power, and transform your life from the inside-out. Our “Transformation and Consciousness Incubation Programme, has been created for individuals who want to take the initiative and find ways to express their passion for making a contribution to the world. This study programme brings the attention of the student to an underlying unity that exists in the Universe. This “Field of Consciousness” can be experienced through various spiritual rituals and practices to train the mind to obtain a greater awareness of a “Mystical Existence” that are responsive and interactive with human thinking. Yet, the way we respond to events in our lives have strong deep roots and we often ignore the mechanisms underlying our behaviors thus we may feel unable to change direction to get the results we desire. A spiritual orientation towards personal development centers on consciousness of the internal drives in your life, and the meaning of experiences in the school of life that ultimately leads man back to his Creator. From this inner transformation emerges a renewed approach grounded in a holistic understanding of our world and our role as human beings. The courses foster a shift in perspective that expands your consciousness and increases your personal effectiveness. The Incubation programme prepares students to integrate Universal principles of Spirituality and Holistic Health through self-development, scholarly exploration and research, and compassionate service in the way we live and express the Divine in the World. Short Courses in Personal Development and Consciousness Training. Let’s start by explaining what you will study and what you will acquire through the studies. 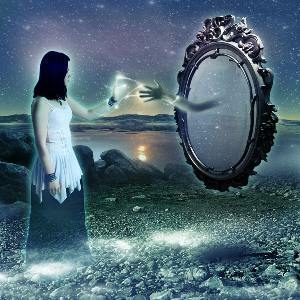 Transformation aligns with the foundational premise that the whole lies, not within any particular concept, but within the aggregate of self-discovery and spiritual-development. Learning is a lifetime activity, here are levels of learning as well as kinds of learning. Learning is experiential and to learn requires practice. Spiritual and occupational experiences provide learning that is perhaps even more valid, than traditional campus-confined, classroom-based instruction, and this life-learning can be accurately and responsibly measured for its academic equivalency. Traditional systems of education are sometime too restrictive for many spiritual-focused people. The Programme comprises various courses (modules) that primarily strengthens individual spiritual awareness and bring about a personal awakening towards the fulfillment of your life purpose and value contribution towards Society. Although it entails academic definitions, the modules are structured around basic and experiential concepts. Personal Mastery involves a holistic approach that incorporates Spiritual and Psychological principles, a correct understanding of Mystical philosophy and New Thought perspective. Aim: Transformation and Consciousness Incubation. The Incubation programme has at its core outcome the spiritual growth and personal development of spiritual seekers, assisting individuals to find and live-out their life-purpose. Courses will also empower you as professional to be more effective in Life-Coaching, Counseling, as Holistic Healers, Spiritual Teachers, or Interfaith Ministers in their respective communities. The programme is offered as distance education or part-time in the evenings at suitable venues. Practical assignments throughout the courses will insure interaction with learning content and personal participation. Some of the short courses in Personal Development are also presented as modules that focus on Spiritual Formation & Consciousness, while each students study programme is designed with specific practical outcomes and qualifications in mind. Live Your Truth: Personal Mastery Course, (Entry Level). Ontology of the Soul (School of Mystics, level 1). Intuitive Development (School of Mystic, level 2). Sacred Contracts and Shadow Play. The Art & Practice of Meditation, Advanced Course on Contemplative Inquiry. Spiritual and Natural Healing Skills. ... and many more academic courses practically applied. 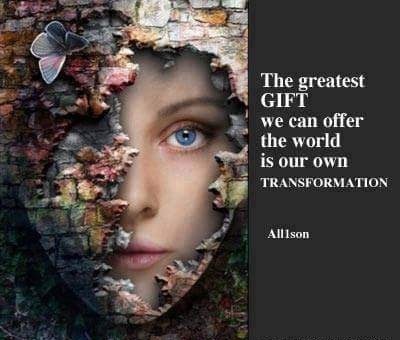 Transformation aligns with the foundational premise that the whole lies, not within any particular concept, but within the aggregate of self-discovery and spiritual-development. Specific electives and specialization programs will be structured after assessment, and depend on available degree-paths available at partner Universities. The Transformation and Consciousness Incubation programme has at its core outcomes, Personal Development and Spiritual Formation. The curriculum and duration will, therefore, by and large depend on the student’s personal and spiritual growth, cooperation, and dedication of the student, and the competency achieved in specific specializations that needs to be incorporated as modules into the transformative learning process. Registration and course costs are Rand/Dollar exchange rate dependent, and vary according to specific fees asked by the partner Universities who will confer the qualification. The student will be academically facilitated and Academically-Coached through the studies until competencies is achieved, and fees are asked for scheduled sessions to mentor progress and assistance provided (part-time, once a week), at additional cost of R 1750 /month. Full quotations and payment schedules will be provided. Please note that additional fees may apply for specialist guest lecturers, for practical retreats and workshops, plus accommodation where applicable pending on venue availability and sizes of groups. The courses are conducted via correspondence with online blended support. The studies will involve guided research and practical reflective assignments, group discussions, group collaboration on projects, and practical sessions or workshops throughout the duration of the Incubation process. All study guides and research material will be provided. Students are encouraged to do additional reading, although any books purchased for this purpose will be for the students own account. Venues: Workshops and group sessions are presented in Pinetown, KZN (South Africa), on Weekends. For more details, please inquire. You can read more information on Personal Development and the benefits this course provide "here".